While harps have the reputation for being ethereal and delicate, the musicians who play the six-foot tall, 80-pound instruments are anything but fragile. Ironically, it was a cartoon image of a harpist flying through the sky that first introduced Cross to the harp. At 5 years old, Cross flipped through a book about the instruments in the orchestra in the library. When she saw the harp, it was love at first sight. Her mom waved it off as any other dream Cross had back then, like caring for a pet dolphin in her backyard. But Cross’ father made her a deal: If she still wanted to play when she was 8 years old, she could start lessons. She’s been playing ever since. This was Cross’ second summer playing with the MSFO. She was joined by first-timer Kelsey Sham. It’s the first year the MSFO had two harpists, a necessary addition, Sham said, because the MSFO played a huge repertoire this summer — especially for harp. 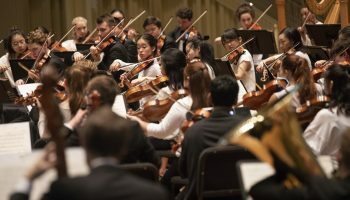 The harpists began the summer playing Igor Stravinsky’s “Firebird” and ended with Hector Berlioz’s “Symphonie fantastique,” which Sham said is well known for harp. In addition to the Monday night Amphitheater concerts, Cross and Sham played in chamber recitals throughout the season. The harpists had another opportunity to showcase their skills this summer, by introducing some of the youngest Chautauquans to their beloved instrument. On a trip to Children’s School, the harpists played three pieces for the kids, exposing them to different eras of harp music. The harpists played a Baroque piece, an Impressionist piece and a contemporary piece for the kids. The wide range and variety opened the children’s eyes to the colors and sounds a harp is capable of, Sham said. As part of a duo performance, the harpists played the first movement of Carlos Salzedo’s “Pentacle, Steel,” for Children’s School. Cross said the contemporary piece was probably different than anything the children had heard from the harp before. At one point, the harpists strike the strings violently at a certain angle, making a large, crashing noise. As it happened, Cross said, one boy immediately gasped. 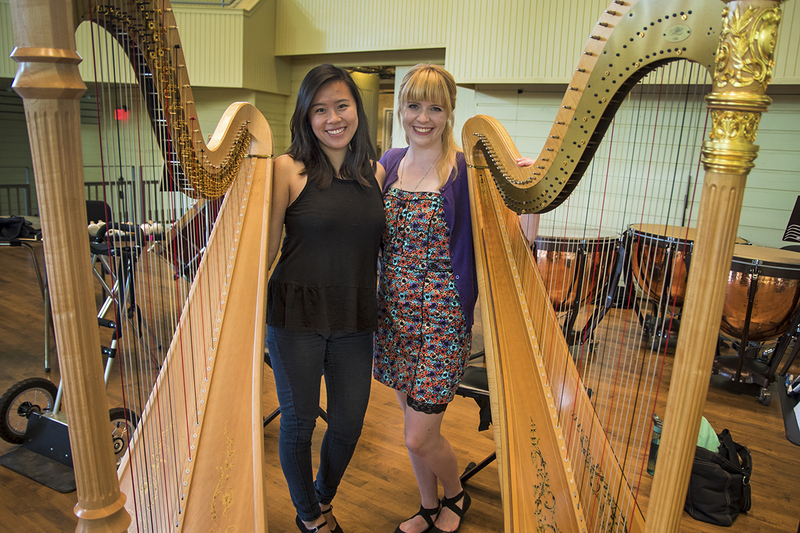 Both of the harpists have been playing for more than half their lives. Cross said after playing for so long, being around the instrument just seems normal. But “to be that small and see an instrument that’s almost six-feet tall” up close for the first time is exciting. For Sham, it was her own childhood wonder that drew her to the harp. She first saw it played at a Whole Foods when she was grocery shopping with her parents. She was too young to remember, but her parents said she was fixated on the instrument. She was re-introduced to the harp at an “orchestra petting zoo” before sixth grade, when she chose to study it. 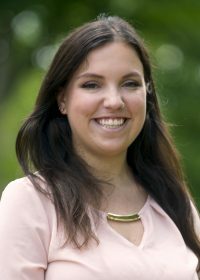 Sham now studies with Yolanda Kondonassis at Oberlin Conservatory of Music — the same instructor Cross studies with through the Cleveland Institute of Music. “We’re like a little family,” Cross said. Kondonassis teaches her harpists to be “advocates of the instrument,” Cross said. The pedal harp, the modern form of the instrument that Cross and Sham play, is relatively new. The instrument was produced in the early 1900s, which is modern compared to instruments which are more than 500 years old, like the violin. Since the harp is new — and complicated, with seven pedals and 47 strings — composers can be reluctant to create music for it. The music is out there, though. Sham said one piece Kondonassis is famous for is Alberto Ginastera’s Harp Concerto, first performed in 1965. Cross said that Kondonassis brings awareness to the harp and shows the “different colors and sounds” that it can produce, as opposed to always falling back on a piano in chamber pieces. Although a lot of people think of the harp as part of the string section, Cross said since there’s no bow the sound is more instantaneous, like a drum. Both Cross and Sham see teaching in their futures as harpists, and look to Kondonassis as their inspiration. 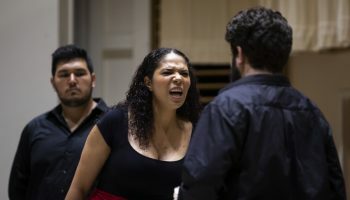 Sham said that Kondonassis has a “well-rounded way of teaching.” At Oberlin Conservatory of Music, there’s an outreach program where the students teach members of the community. Sham said that Kondonassis encourages them to read psychology books and understand their students. For Cross, an engaging teacher changes her entire perception of a subject. She’s had teachers who made her see topics she initially thought were boring in a new light. It is teachers, Cross said, who are going to make classical music approachable.